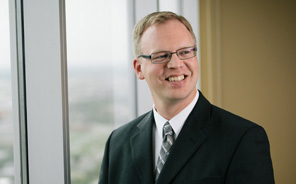 Darren Schierling is a Tax Principal with Kingston Ross Pasnak LLP, Chartered Professional Accountants. Darren provides taxation services including personal, corporate, trust and estate tax planning and tax compliance filing preparation, corporate reorganization planning and implementation, dispute resolution with Canada Revenue Agency and filings related to government run farm programs such as AgriStability. Darren has been practicing with KRP since 2001 and is a tax principal with the taxation group. He has assisted with internal staff tax training and has also been involved in farm planning and succession presentations to farm clients. Personal tax filings and planning which include analysis on remuneration strategies for owner-managed businesses and analysis on the potential for income splitting between family members. Farm tax filings and planning for farming operations run as sole proprietorships, partnerships, and corporations including analysis for utilization of the lifetime capital gains exemption room on sale of the farm or transfer of the farm to the next generation. Filing Scientific Research and Experiential Development (“SRED”) claims to allow clients to access government funding available for SRED projects. Estate tax filings and post mortem planning to minimize taxes on death, where possible, and provide clients with estimates of taxes due on death for Will planning purposes. Corporate restructuring including transactions allowing for creditor protection in a corporate group, for deferral of taxes by having inactive assets separated from active business operations, and to allow for transfer of a family business to the next generation in a tax efficient manner. Dispute resolution with Canada Revenue Agency including assisting clients with Canada Revenue Agency audits and filing appeals when required for personal, corporate, and payroll taxes that cannot be resolved at an audit stage. Assist clients with outstanding tax filings including utilization of the Canada Revenue Agency’s Voluntary Disclosure Program, when applicable, to have outstanding tax filings accepted without penalties being applied. Member of the Chartered Professional Accountants Alberta and of the Chartered Professional Accountants Canada (formerly CICA).